Pool Cleaning by Lester Pools Inc.
Keep your pool clean and healthy! Lester Pools Inc. has been cleaning pools since 2007. We clean all types of swimming pools, big, small, inground, and above ground. Lester Pools Inc.'s pool cleaners are trained to clean each and every pool thoroughly so that you and your friends and family can effortlessly relax in sparkling clean water. When you contact Lester Pools Inc. for pool cleaning services you will find a company that has been providing outstanding pool cleaning since 2007. Your pool deserves the best care, and we will provide that care with our high quality, personalized cleaning service to make your pool inviting. Lester Pools Inc. is a leading provider of pool cleaning services. Our expert pool cleaners have years of professional swimming pool cleaning experience. 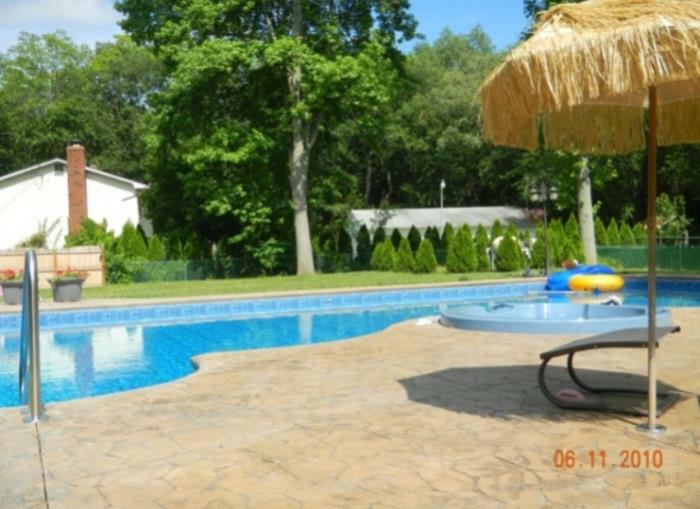 Call Lester Pools Inc. today at (732) 201-4521 to learn more and keep your pool clean and sparkling.